Geography: North West, Greater Manchester. Part of the Bury council area. Main population centres: Radcliffe, Prestwich, Whitefield, Ainsworth. Profile: The southern part of the borough of Bury (the actual town of Bury is almost wholly within Bury North). The seat covers three towns in the Irwell valley, all towns with an industrial past as mill towns (and papermaking in the case of Radcliffe) but which have continued to grow as residential suburbs despite the decline of heavy industry. There is a large Jewish community in Prestwich, and the seat as a whole has the highest proportion of Jewish residents of any seat outside London and the South East. Politics: A Labour leaning marginal, the seat was held by the Consevatives right up until 1997, but they lost on a large swing in 1997 and while the Conservatives achieved an above average swing in 2010 it was not enough to overcome the large majority built up by Ivan Lewis. IVAN LEWIS (Labour) Born 1967, Prestwich. Educated at William Hulme Grammar School. Former chief executive of Manchester Jewish Federation. First elected as MP for Bury South in 1997. Junior minister at Department of Education and Skills 2003-2005, Economic Secretary 2005-2006, Junior health minister 2006-2008, junior international development minister 2008-2009, Minister of State for Foreign Affairs 2009-2010. Shadow Culture Secretary 2010-2011. Shadow Secretary of State for International Development 2011-2013, Shadow Northern Ireland Secretary 2013-2015. DANIEL CRITCHLOW (Conservative) Born Greater Manchester. Educated at Bury Church of England High School. Church of England vicar. Contested Wythenshawe and Sale East 2014 by-election. IVAN LEWIS (Labour) See above. PAUL ANKERS (Liberal Democrat) Contested Bolton North East 2010. SEAMUS MARTIN (UKIP) Born 1966, Derry. Educated at Salford University. VALERIE MORRIS (English Democrat) Born 1966. Educated at Unsworth Comprehensive. Contested Bury South 2010. I’d predict a 5-7,000 majority hold for Labour but I do think if and when the Tories win a convincing majority again (i.e. <40) it will go Conservative. I agree with your 2015 prediction but I would be pretty surprised if the Conservatives regained Bury South on its current boundaries- they’re a long way down on where they were in 1992 and even they only just won the seat. I wonder if the area is starting to become like the adjoining Manchester wards. The southernmost wards include Sedgley which is unusual in that it’s heavily Jewish but has far more often voted Labour than Conservative (though it has voted LD too at times). The adjoining wards include Kersal & Broughton in Salford which are noted for their ultra-Orthodox demographic, which also exists to a lesser extent in Sedgley, but also Crumpsall in Manchester. There could well be a demographic transference from Manchester & Salford in some parts of the constituency but the Tories are also doing quite poorly in Radcliffe, the least Jewish part of the constituency where up to 2010 they were still able to win council seats at times. The Tories may be closer one day IF they stand a candidate very well-connected within the Jewish community (as with Michelle Wiseman last time) and Labour stands a non-Jewish candidate, especially if that candidate is regarded as uninterested in matters of interest to the Jewish community, but as long as either Ivan Lewis or a candidate of similar type stays representing Labour the party will be extremely hard to beat here. IIRC, Lewis’ Tory predecessor as MP David Sumberg was also Jewish. I believe that the ‘Jewish vote’ is overplayed here. It’s unpredictable and doesn’t vote as a bloc. Many Jews dislike Lewis because he is a ‘bad Jew’ and would prefer a socially conservative non-Jew to him. Many orthodox Jews don’t vote full stop. 1, They have a local candidate in place with a good run at the seat i.e. a few years to build up a profile. I don’t think they’ve even picked their candidate yet with only 10 months to go! 2, They’ve had a few years to build up their councillor base in the area. Though there council representation in currently lamentable, 6 of the 9 wards are potentially ‘in play’ under the right conditions. I would imagine that EM becoming the next PM (a distinct possibility) would see all of those 6 wards coming into play by 2018. 3, Most importantly, if nationally the Conservatives are on coarse for a proper majority (not a 1997 Lab landslide but a decent <40) then it will come into play. In conclusion, if EM becomes PM with a tiny majority or a Lib/Lab majority and Lewis doesn't have more than a 7000 majority, this seat will be 'in play' the following election. Saying all of that, I certainly cede that this is a Labour leaning swing seat following a sort of 25 year Lab to 15 year Con ratio. The opposite of Bury North which I consider a 25 year Con to 15 year Lab ratio marginal seat. 1 ) I never said that Jews vote en bloc. They clearly don’t although in general rather more Jews vote Conservative than Labour. I myself have (Jewish) relatives in this constituency, as I have had all my life, of whom some vote Labour & others vote Conservative. 2 ) I don’t think more than a tiny number of Jews, except perhaps the ultra-Orthodox, regard Ivan Lewis as a “bad Jew” and would thus refuse to vote for him for that reason. 3 ) Yes David Sumberg is Jewish – if you think that the Jewish vote is irrelevant, look at the 2001 & 2005 results, and see how much worse the Tories did when they did not stand a Jewish candidate, and how they recovered when they did so again in 2010. 4 ) The vast majority of ordinary Orthodox Jews do vote. If you mean the ultra-Orthodox, or Chasidim/Haredim, that’s rather different. 5 ) The Jewish population is over 10% in the constituency. This means that the community is of great importance seeing that this has usually been a marginal seat (though not in the Blair years). Obviously it is nothing like a majority but there is little doubt that many voters within that community have changed quite frequently between Labour & the Tories since the seat was formed in 1983. 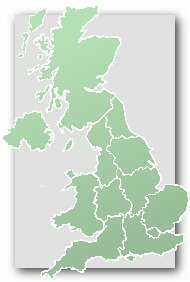 I remain of the opinion that Labour would have struggled to hold on in 2010, or would at least have had a very narrow majority, if they had fielded a non-Jewish candidate & the Tories a Jewish one (especially since in Michelle Wiseman they picked one with very strong links with the local Jewish community). If the Tories field a non-Jewish candidate next year, I bet you plenty of money that the Labour result will be at least better than average even for the Manchester area. Interesting post. Would you say Bury South has gone somewhat downhill socially in recent decades? Looking at the LSOA deprivation map, I don’t see many prosperous areas within the constituency- bits of Prestwich, bits of Whitefield and Unsworth but that’s about it- certainly little to rival areas like Church and Tottington in the Bury North seat. Possibly but the swing of about 7.5% was considerably higher than the national average. And the 2001 result was awful for the Tories. It could be a coincidence but I doubt it. I don’t think any of my Orthodox relatives would be in any way concerned about a candidate being divorced; and it isn’t that difficult for Orthodox Jews to obtain rabbinical divorces (known as “gets”) anyway. Has Bury S gone downhill? I’d say probably yes, certainly Sedgley Park & much of Prestwich proper, even parts of Whitefield. Some areas were never upmarket in the first place. yes, they have rather similar work backgrounds. They would both have been very well-known before standing for election in the Jewish community which tends to be rather elderly here & much of which is assisted by some of the services provided by their organizations. Well I accept that the swing was unusually high but I don’t really see precedence for how anyone’s religion makes a difference unless it is very close race. I stick with my original assertion that if and when the Tories do have a large swing in their favour (which certainly won’t happen in 2015), then Jew/Gentile, BS will turn Tory too. Perhaps if an election is very tight e.g. 2010 and prob 2015 then it might make a difference, but if the whole country goes solidly blue, Lewis’ religion won’t prevent BS from going blue too. Incidentally Michelle Wiseman now sits as an independent. I believe there has been a fair bit of infighting within the local party but not sure of the details. Whatever the reason, it won’t help them in 2015. Frankly the Tories need to pick their candidate asap. Also interested that the Lib Dem in Holyrood held on to his council seat. Lib Dems have done well here in past 10 years. Built up a solid base. It does seem that, aside from a few roads in Whitefield, the wealthiest Manchester Jews headed south, to the likes of Hale and Bowden (which are both heavily Tory), a geographical variance with London and Leeds, where the largest blocs are still concentrated to the north of those cities. This includes, in the likes of Garden Suburb (London) Alwoodley, and now to an extent Scarcroft (Leeds), some the wealthiest members of those communities. He was the Tory candidate for the Wythenshawe by-election. Andy JS – I’m amazed he’s still on their List, let alone been allowed a better seat. He campaigned on pot holes and dog dirt in a Parliamentary By-election! Believeitornot – that’s even more worrying, if true and no surprise that UKIP overtook them to come 2nd in W&SE. Critchlow is campaigning on grey bin collection intervals and the Lib Dem personal tax allowance. And promising to support Israel if elected. His candidature is not credible, almost designed to lose. Former electable Conservative councillors seem to have abandoned the constituency. This may all tie in with the previous comment suggesting local party strife. The Lib Dem does not even have a personal website, simply a small space on a shared ALDC site. The only candidate trying to win is Lewis despite a contentious history of expense claims and personal indiscretions. I would predict an easy Labour hold in a seat that should be a marginal. To add in respect of the note about Lib Dems having a solid vote, local party members are being asked to help out in Manchester Withington rather than campaign locally. Ahem! I am the UKIP candidate and I am busting a gut trying to win this seat. I have spend so much time out leafleting and campaigning that I have actually had two pairs of shoes fall apart on me! As for the actual numbers, based on the 2014 European election result for the Bury MBC area, the only party in with a chance of ousting Labour in Bury South is UKIP. Even though those figures include Bury North where the Conservatives have the sitting MP. the Tories could only limp in third 2,200 votes behind UKIP. Plus we won seven times more votes than the Lib Dems. If I don’t win, it certainly won’t be for lack of trying!! This result wasn’t as dreadful for the Tories as a lot of people assumed. The local results would suggest that there was a lot of switching from Lib Dem to Tory for the general election. I wonder if this will return to being competitive again when Ivan Lewis eventually retires. @Seamus Martin. I never received on of your leaflets though I appreciate you may have been considerate and posted it straight into the paper recycling bin. If you were trying then you didn’t try hard enough given your 13% and 10,000 fewer votes than the Tory. Despite your competition being a sitting MP with a penchant for expenses and a Tory obsessed with grey bins and another party’s tax policy. Bury South voters were let down by all the parties. I only just spotted that the By-election Vicar popped up here. That must have been a very late selection as PPC? Despite denials from the Corbyn camp, the BBC is reporting that Ivan Lewis was sacked today from the shadow cabinet – by text. Ivan Lewis has said he is considering running for Mayor of Greater Manchester. Whilst he is too Blairite to have a chance of winning a membership vote, this may indicate that he’s given up on his Westminster career. If Lewis was to stand down and Corbyn remain Labour leader, this seat could be back in play for the Tories. Quite unsurprising that Lewis thinks his Westminster career is essentially over. As you say I think he’d struggle to get the nomination though, probably competing against existing council high-flyers and Corbynista candidates. Interesting item on the WAO. The Tories in Grtr Manchester (now more than one MP) are opposed to the Manchester mayor idea, fearing they’ll get a very left-wing figure. Yes, this is true – a few have raised it in parliament. I think the model is badly flawed (scrutiny to be carried out by [Labour] council leaders rather than an elected Assembly, as in London, or even a representative group of indirectly elected Cllrs), but mayoral elections have a habit of not conforming to the political rules – it may not be quite a foregone conclusion that there will be a Labour MP, especially if a strong independent enters the race. MP supposedly in the running for Mayor of Manchester. ‘ Major English cities – particularly Manchester – have seen the sharpest falls in home ownership since a peak in the early 2000s, analysis suggests. The Resolution Foundation said homes were becoming increasingly unaffordable for struggling potential buyers. The proportion of home owners dropped from 72% in April 2003 to 58% this year in Greater Manchester, it said. It is yet further evidence why Osborne’s ‘Northern Powerhouse’ strategy is fundamentally flawed. Economic growth needs to be spread throughout a region and not concentrated in cities. It would be interesting to know the change in home ownership by constituency. Ivan Lewis has announced he will stand again, which comes as something of a surprise. Can he hold on here? Much talk further up the page about the Jewish voters in this constituency (including some telling points by Barnaby whose observations are sorely missed – can anyone persuade him to restart posting?). Treading carefully, I would suggest that the arguments about anti-Semitism within the Labour party in the last 2 years will certainly not have helped their cause in this seat. It is probably good news for them that Ivan Lewis has decided to stand again as his personal stance may reduce any defections. Cons have selected Rob Largan here. Whilst he’s a Cllr in the London Borough of Hammersmith & Fulham, I’m told he is from here originally. As ex-CF, I assume he’s in his 30s. I had thought he part of LGBTory but the online profile refers to a female fiancée so maybe he was just supportive whilst not being any of those letters but Tory! I think this one is a relatively straightforward Con gain. IIRC they did well in the council elections here last year, and Labour are now toxic with Jewish voters. Given Lewis’s own pretty impeccable Jewish credentials, I wouldn’t be quite so sure they will desert him in larger numbers than the rest of his electorate. Jews are usually very shrewd people, not dominated merely by emotion, and it won’t have escaped their thinking that voting in some ‘good Labour guys’ will be helpful to defending the Jewish cause from attack from within the wider Labour movement moving forward. I doubt they will permanently reject the Labour party because of the contempt of Corbyn towards them, who will have moved on before too long. Robert is no longer a Councillor and lives in Whitefield. And he is definitely engaged to Eleanor. Compared with 18% who said they’d vote Lab in 2015. Lab up 4.5% from the last time they asked the question, just felt that should be pointed out. Yes but crucially 5% down if you compare like with like – since they were last asked just before the last General Election.